Provides a natural source of Lactobacillus Acidophilus to help maintain proper intestinal flora. 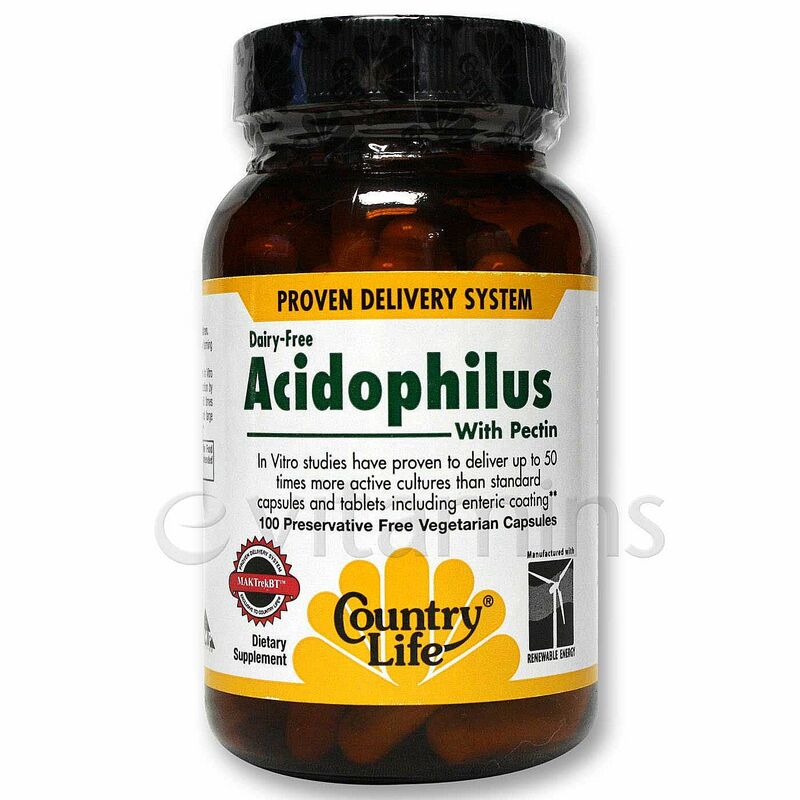 Acidophilus with pectin provides 2.4 billion live colony forming units per two (2) capsules at time of encapsulation. In a vegetarian capsule. 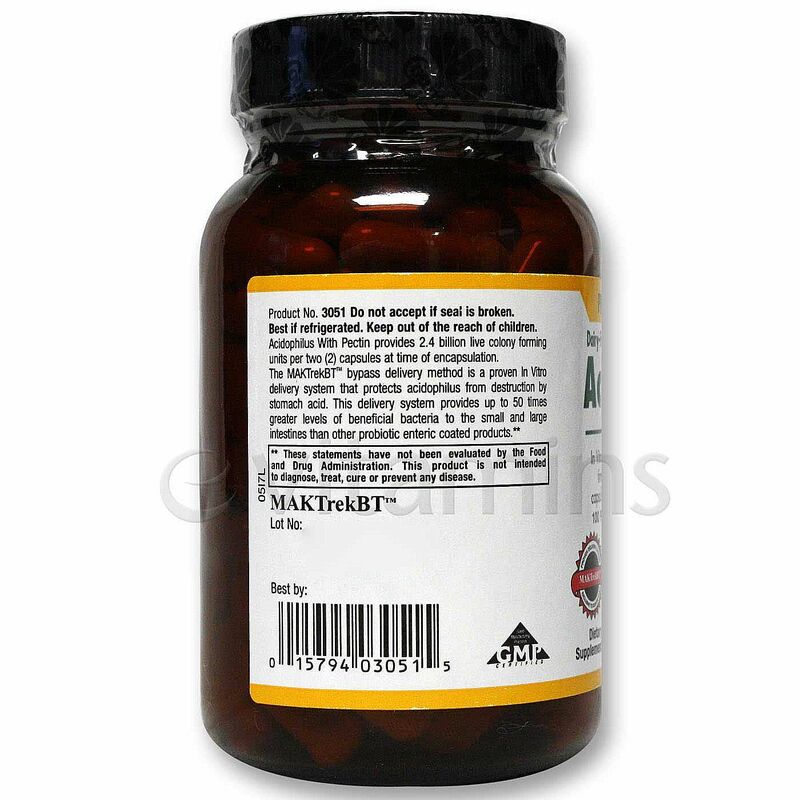 注意事项: Does not contain yeast, wheat, soy, gluten, milk, salt, sugar, starch, preservatives or artificial color. 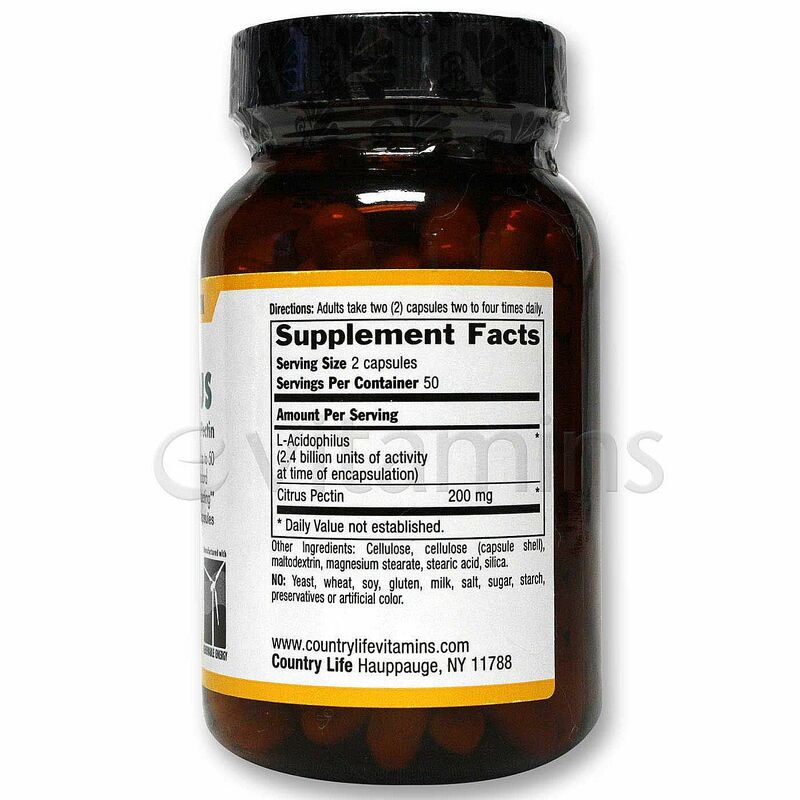 推荐用法: Adults take two (2) capsules two to four times daily.